I made some beef pho again today -check out the new photo, I've just updated the post- and I felt like making a phở chay, vegetarian rice noodle soup for the rest of the family. The only extra work for pho chay, in addition to the beef pho (for the carnivores at home) is to fry some silken tofu and make the vegetarian broth. Lulu, my husand, has been begging me to find Vegemite. I finally found some. It brings back good ol' memories from my trips to England as a child. Believe me, it tastes no different than Marmite. Vegemite is a combination of yeast byproduct and vegetable flavorings, and if you've never had it, it sort of has the taste of beef boullion cubes. 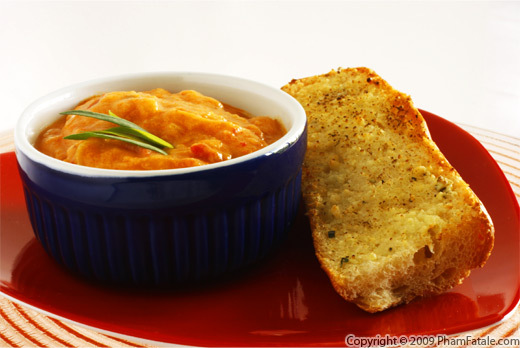 Vegemite is not only great as a spread on a piece of bread, but can be a tasty addition to vegetable broth. Though not traditional, I used a bit in my pho broth to give it a more complex flavor. Gooooood morning, Vietnam! 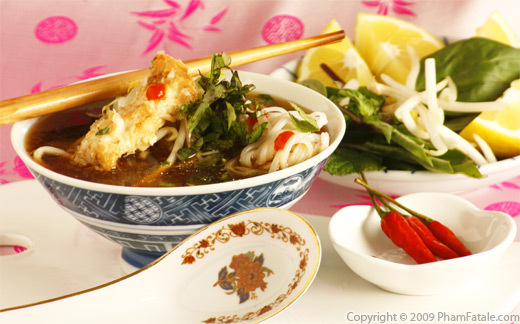 Phở is the National Vietnamese food. 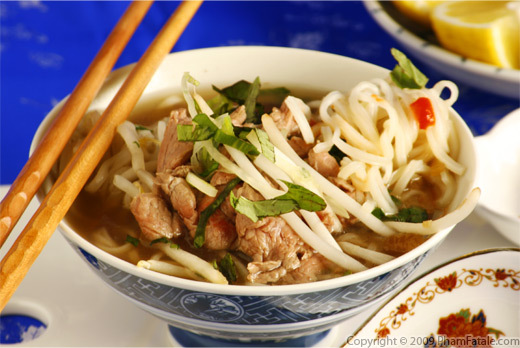 Phở bò tái nạm is a beef broth served with rice noodles and tender, thin pieces of flank steak flavored with traditional Vietnamese spices. 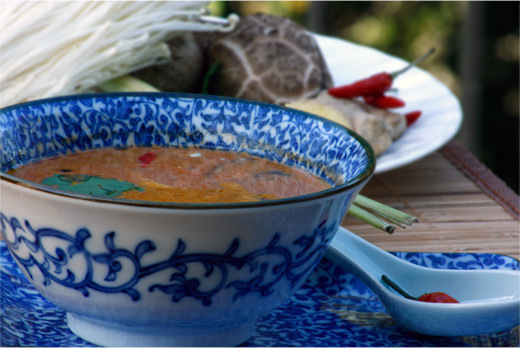 It's one of my favorite Asian soups. When I visited Saigon 10 years ago, I remember having a big bowl of phở for breakfast! It's as good in the morning as it is for lunch and dinner. I think it's THE best street food in the world. Oh and it's pronounced "fuh" like the beginning of the word "fudge". If - like me - you're a fan of Anthony Bourdain, you might be interested to know that Pho is one of his favorite dishes. Tony, this pho is for you .